Thank you Professor Jansen. 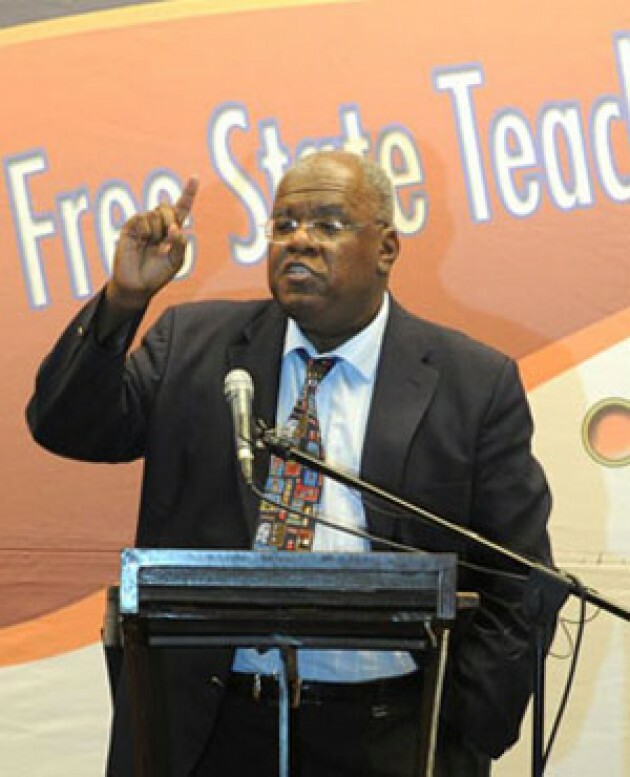 University of the Free State chancellor Professor Jonathan Jansen has said it! This has been a pain of mine and as a father I am wondering where my kids will go to school. What kind of future do we build with 30% pass. What kind of brains do we develop with a pass mark of 30%. How many of these Ministers have all, I mean ALL their kids somewhere in Europe, USA or Asia at some top school studying Cambridge? Do they know how much talent there is in rural schools? ← Why are we so fanatically hung up on jobs? 1. What kind of future do we build with 30% pass. There is none. You are instead building and/or contributing to a society where low standards become the norm. Many already work towards just passing how you are in anyway growing or building a nation when many work towards a pass mark for the sake of passing. The youth are demotivated and only live to lead the sushi life style portrayed by Mr Kunene. 2. What kind of brains do we develop with a pass mark of 30%. There is no development here. You are rather stunting the brains full potential and leading many talents and capable thinkers into being lazy and are not challenging the kids intellectually. No promising leaders. Rather leaders who copy and paste models and do as their told rather than going beyond what’s in front of them. None that I know of, I am yet to see a country willing to cripple their people in a way that dumbs own the entire nation. 6. How many of these Ministers have all, I mean ALL their kids somewhere in Europe, USA or Asia at some top school studying Cambridge? This I am unsure of but I assume that many do. Though their children do not appreciate and fully grasp the privilege behind such. I was fortunate enough to go to school with one of the ex- Minister’s children and they represented the few humble children. I then had the privilege to meet a few other children of past and present Ministers and all they seem to be concerned about is this sushi lifestyle. 7. Do they know how much talent there is in rural schools? “They” are still stuck with the backward notion that our people in rural areas know nothing further than what they are being told. Instead of empowering and building on our people they are monopolising on this sad and sadistic cycle. The effects this has affects the country in such a greater level it sad really. Thank You! These answers deserve a post on their own! I sure will write something on this issue. After I complete my debate for One Day Leader! We might as well have huge bill boards with ‘BLEAK FUTURE’ printed on them at every school and tertiary institution.